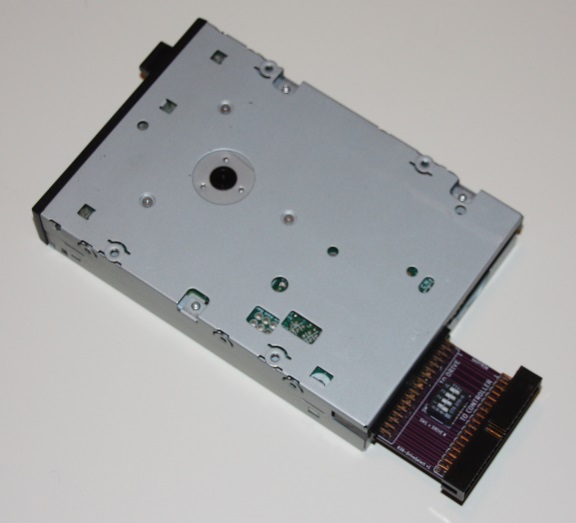 The 838 DriveSelect board allows 3.5 floppy drives that do not have a drive select jumper to be easily connected to your computer. No more hacking of ribbon cables to get the appropriate drive number configured. 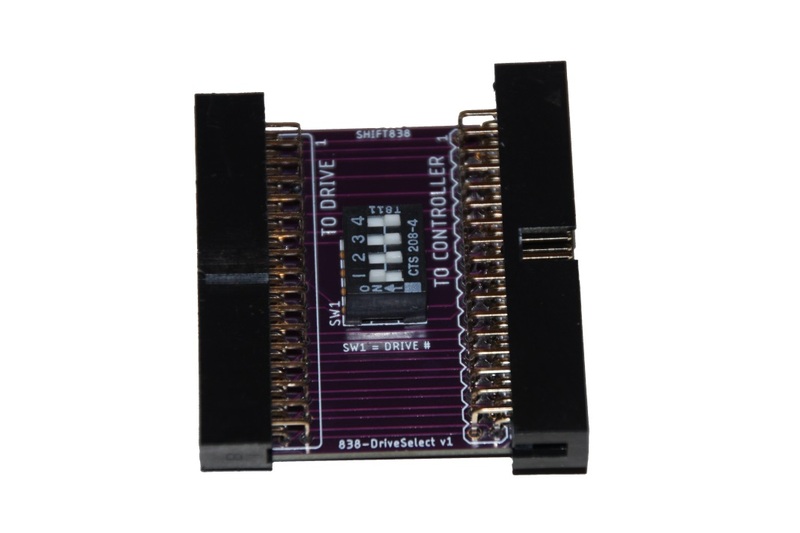 Simply connect the Drive side to the current 3.5 floppy drive and the other side to your controller via a standard straight through floppy drive ribbon cable (34 pin cable). Then it is as simple as choosing what drive number to be assigned with the dip switch. Check out my store for pricing and availability.